إن فندق Sojourn On Gale Bed & Breakfast بموقعه الممتاز في هذه المنطقة السياحية هو نقطة انطلاق جيدة لنزهاتك في هذه المدينة المذهلة. يقع مركز المدينة المثير على بعد 0.4km فقط. يقع هذا الفندق الحديث على مسافة قريبة من المعالم السياحية الشهيرة. يعمل Sojourn On Gale Bed & Breakfast على ضمان إقامة مريحة لضيوفه من خلال خدماته الممتازة وحسن ضيافته. يقدم الفندق فرصة للاستمتاع بشريحة واسعة من الخدمات بما فيها: واي فاي مجاني في جميع الغرف, خدمة التنظيف يوميًا, واي فاي في المناطق العامة, صف السيارات, خدمة الغرف . استمتع بوسائل الراحة الراقية في الغرف أثناء إقامتك هنا. بعض الغرف تتضمن تلفزيون بشاشة مسطحة, قهوة فورية مجانية, شاي مجاني, بطانية كهربائية, بياضات لمساعدتك على استعادة طاقتك بعد يوم طويل. يقدم الفندق مجموعة واسعة من وسائل الراحة المتنوعة، كمثل: حديقة. يحظى فندق Sojourn On Gale Bed & Breakfast بموقع ممتاز وخدمات يصعب منافستها. Great hosts, fantastic breakfast, comfy rooms and attention to detail. Top marks ! We have just spent 2 nights in this B&B.Could not fault it.The breakfast was awesome.Lots of variety and nothing was too much trouble for our hosts Anne and Ivan.Lovely natural products in the bathroom gave it that little exra touch.Clean and comfortable in every aspect.Hope to return in the near future. Ann an Ivan were amazing. 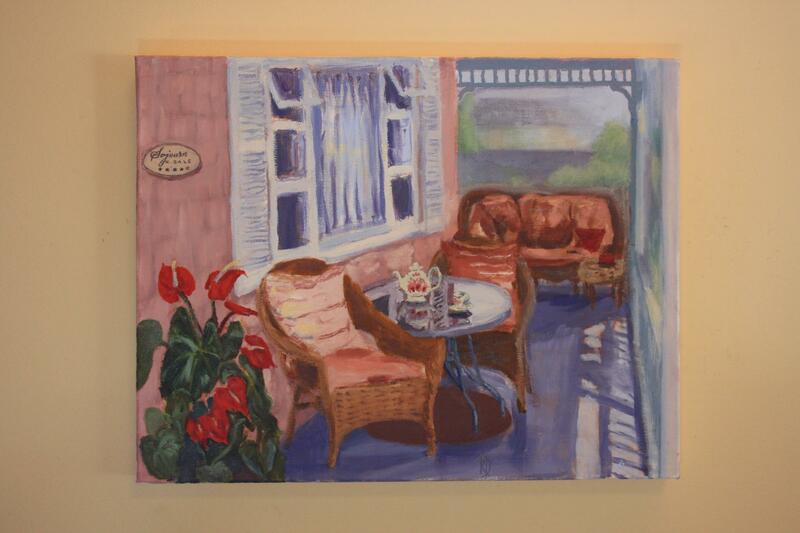 I came away feeling very pampered - a fully cooked breakfast each day and afternoon tea whenever we arrived home. Our room was enourmous and had everything you would wish for - even bathrobes! A wonderful experience. The owners are very attentive and always there for you, from the initial greeting with fresh milk and fruit cake to their small going away gift. The fruitcake is the best I've tasted and the marmalade at breakfast was wonderful, too. Attention to detail was second to none. I felt at home and well cared for by my hosts. 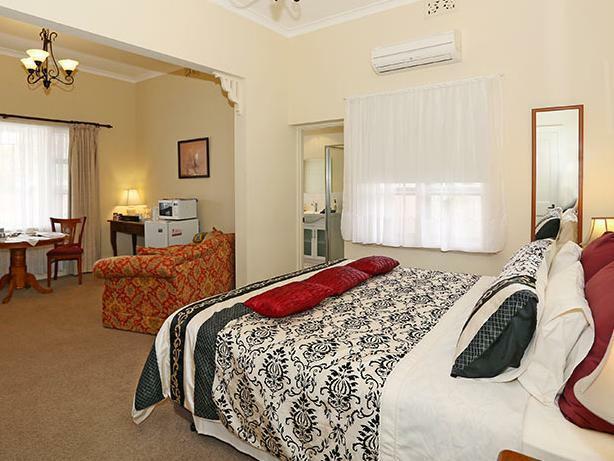 I will definitely return to stay here on my next visit to Busselton. A must stay if you are visiting Busselton. Near to both the beach and main town area. Excellent breakfast and we arrived to some awesome scones made by Ann. Ivan and Ann are such welcoming and lovely people and they will go out of their way to make your stay a comfortable one. Superb experience that I will never forget!! Welcoming hosts coupled with clean and tidy room. Extensive breakfast spread and superb locality. My first BnB experience as a couple. We are very pleased with our stay here! We really enjoyed our B&B... all thanx to Ann and Ivan, and I got to meet Mark too! Thank you for taking care of us and our little baby and I enjoyed the time when we were chatting. I only hoped that we could have chatted more, but most of the time I had to attend to me little one though. I love the breakfast Ann and Ivan made for us. Its really a great start to our day before we start to explore the Margaret River region. The room is impeccably clean and nice! We had a great time at this B&B. Ivan and Ann are welcoming. Great breakfast! Best stay so far. Stayed down south a couple of times now at different places. Being a B&B we didn't expect much. The room is extremely clean, with no spec of dust spotted. Host were really friendly. We arrived at around 3.30 and was served afternoon tea. We stayed at the spa room which includes a bath-tub with Jacuzzi (was only expecting a normal bathtub). Quality toiletries were provided, included olive oil farm's shampoo, shower gel lotions etc. The bed was big and very very comfortable and CLEAN!! Breakfast was served in the room in the morning. Will definitely go back again. Can't emphasize how clean it is and love the Jacuzzi bathtub. A true boutique Bed and Breakfast, old world charm in a great position, eye for detail and beautifully appointed. The hosts are also wonderful, highly recommended and a great breakfast to finish it off. The moment we stepped into our room, we like our room very much, it is indeed spotless. The room is spacious, nice and clean. We were served warm scones with jam, along with hot tea. We really enjoyed our stay there, comfortable bed and quite. In the morning, a full breakfast was served in the room, we were really spoilt. It is near Busselton Jetty, shops and restaurant. We would very much like to stay for another night, but unfortunately we had to go back to Perth on the next day, we will certainly come back. Thanks to Ann and Ivan who took good care of us. i found this b&b to be of the highest quality, with welcoming and non-intrusive hosts. loved the stylish decor and beautiful bathroom, the latest magazines, foxtel and plasma and in such a handy location being only 2 streets from the main street. We had a very comfortable stay at Sojourn On Gale B&B. 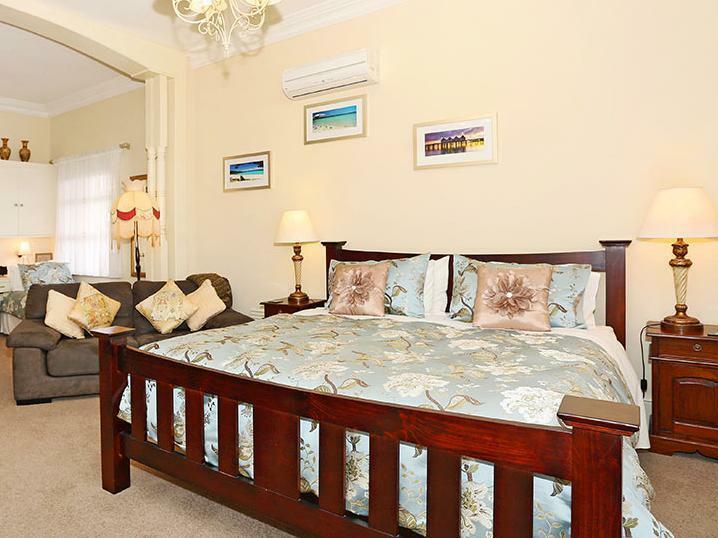 It is within easy walking distance to the town centre and pier. The room was quite large with plenty of room and everything you need. A nice touch was the lounge and the dining table - breakfast is brought to your room. There are only two guest rooms which means that the place is nice and quiet. Ann and Ivan made us feel completely welcome and also provided some insight to the area and its history. Great breakfast. the hosts at this b &b are vey welcoming and are more than willing to assist to ensure you have a pleasent stay The breakfast provided in your room was more than adequate and the rooms had all that you would expect and nice and clean.